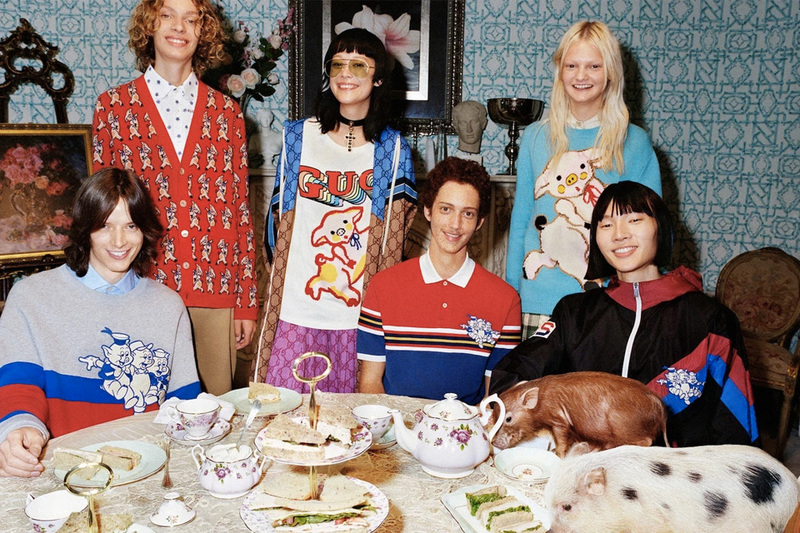 Gucci Chinese New Year Collection Featuring Disney's "Three Little Pigs"
This Lunar New Year will be celebrated on February 5, 2019. 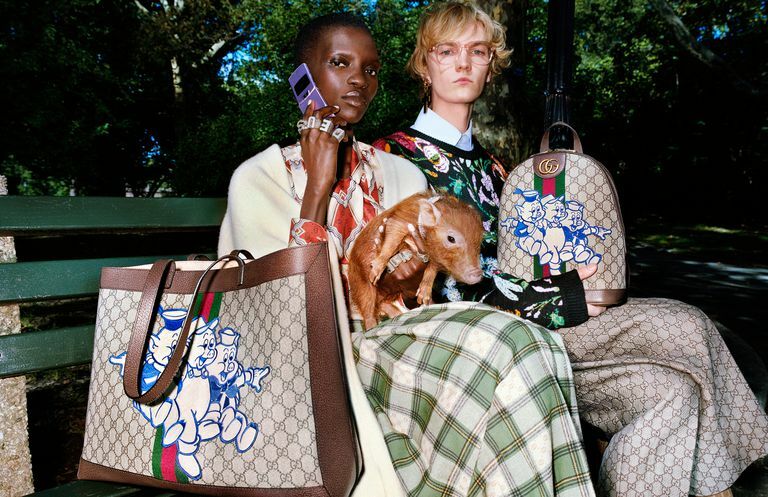 The date also marks the launch of the exciting new Gucci Chinese New Year capsule collection, created in partnership with Disney. 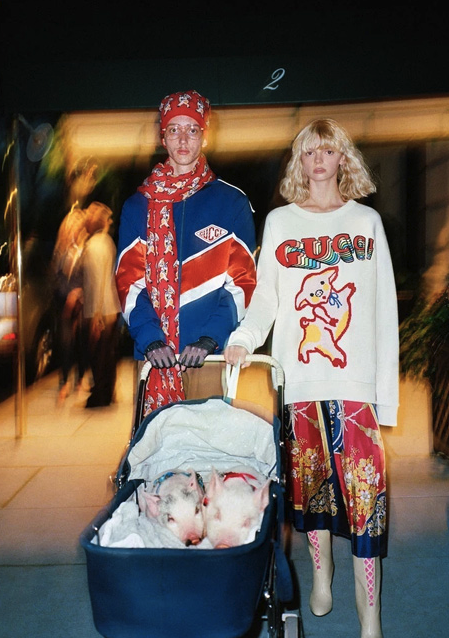 To welcome in the zodiac’s Year of the Pig, the designer label has created a 35-piece Three Little Pigs themed ready-to-wear range of sweaters, t-shirts, wallets, sneakers, backpacks, knitwear, and more for men and women. 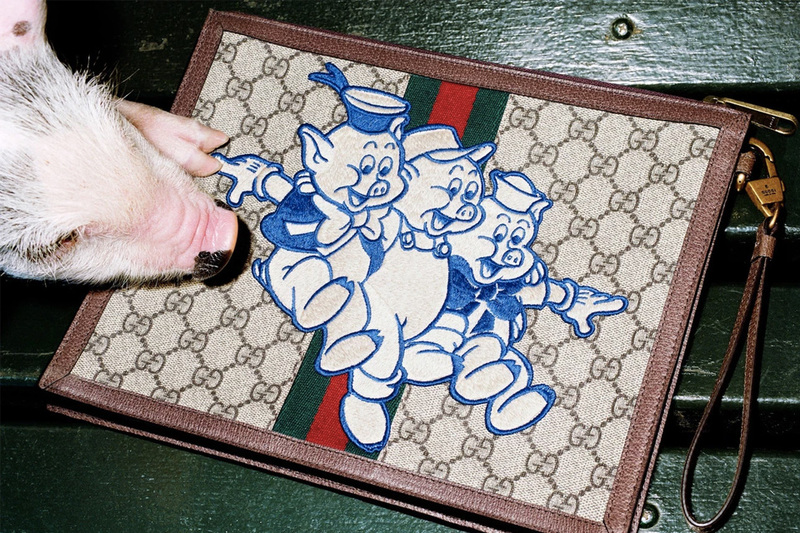 Some of Gucci’s most classic, in-demand pieces – like the GG backpacks, wallets, and card cases – have now been given a charming makeover thanks to some Disney cartoon illustrations. 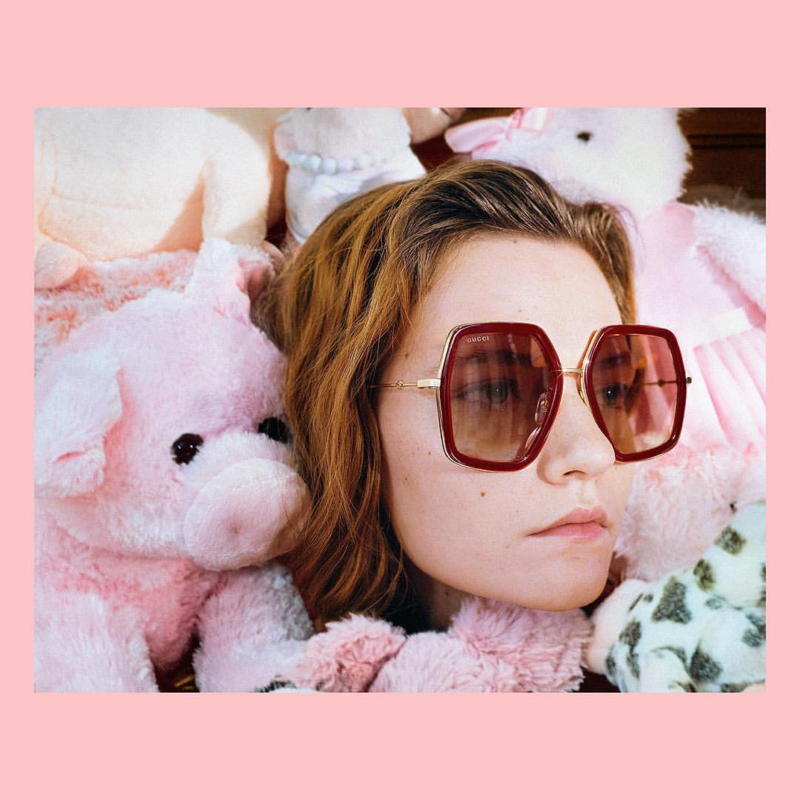 Plus, winter-ready wool scarves, cardigans, beanie hats, socks, and more have been emblazoned with playful pig graphics. 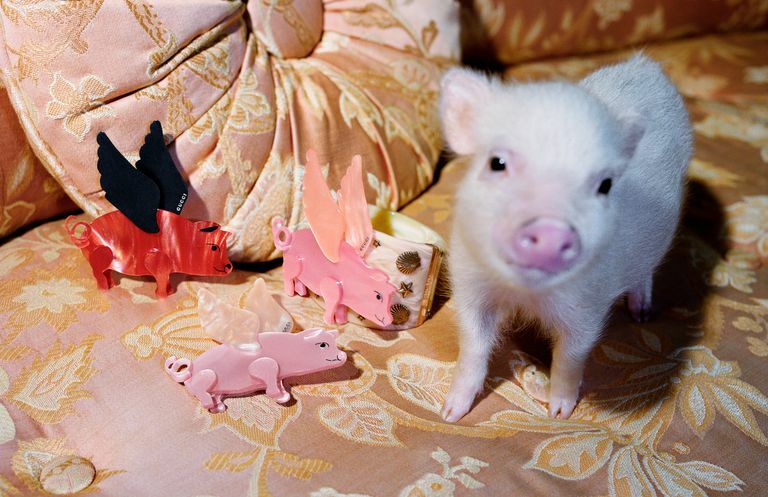 There’s even a mother of pearl effect Flying Pig brooch, to add some whimsy to any outfit you choose. 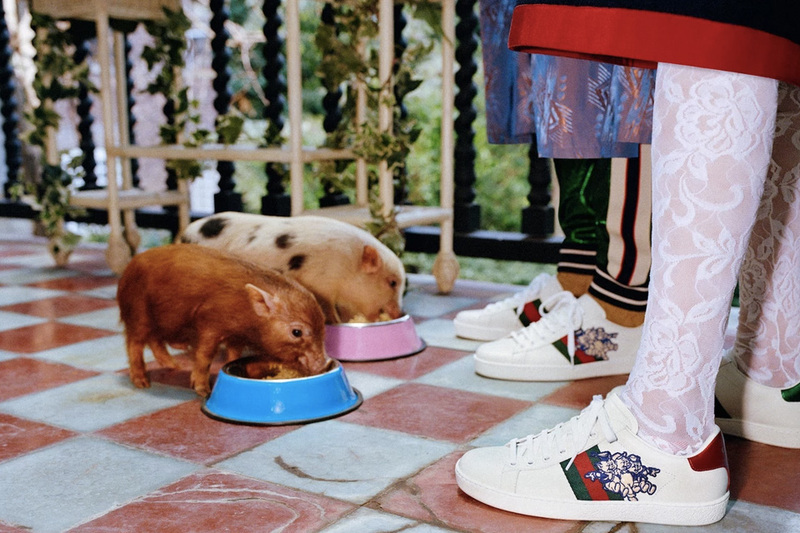 Click through the gallery below to view the Gucci Chinese New Year campaign. 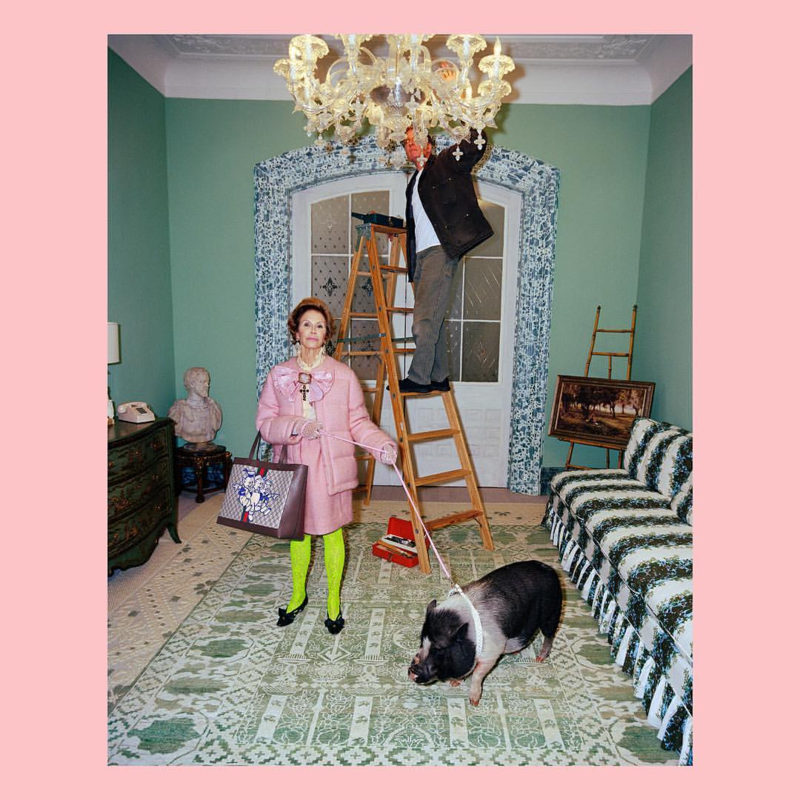 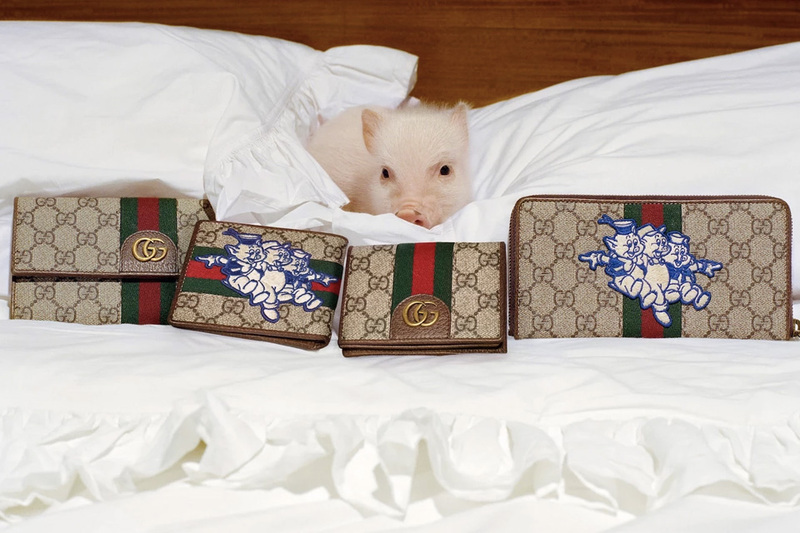 View the gallery below to see fun, pig-themed pieces from the new Gucci Chinese New Year collection. 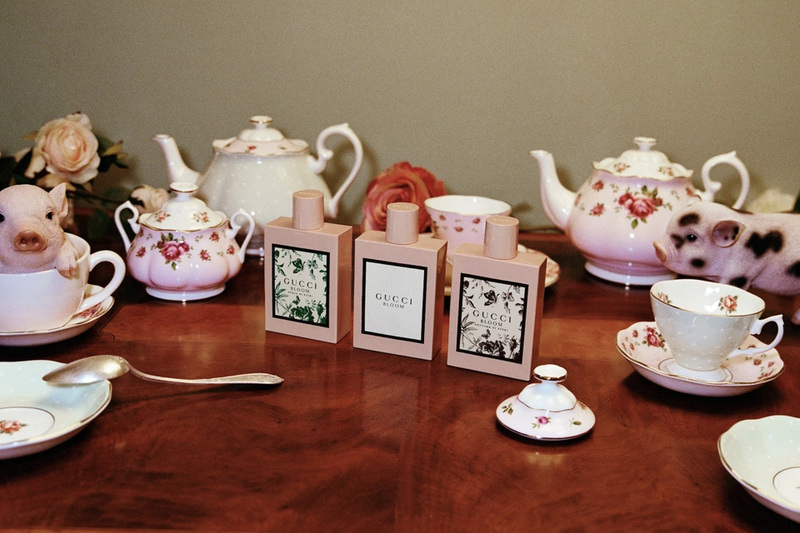 Click on individual photos to expand tiles and view as a gallery. 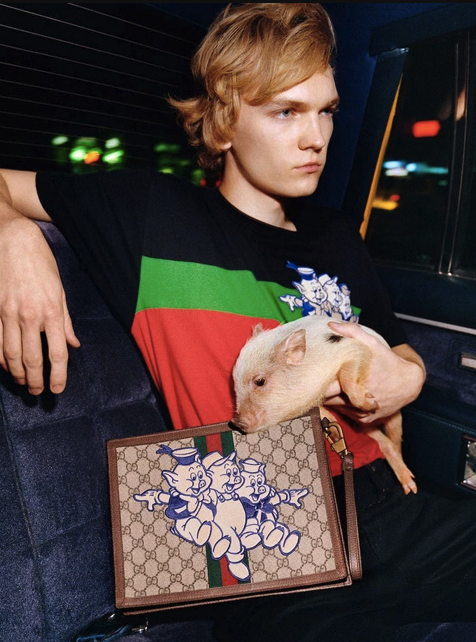 The Gucci Chinese New Year collection will be available to shop on February 5. 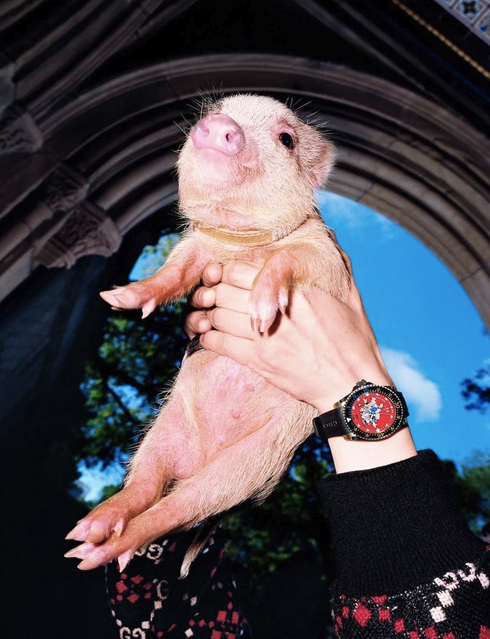 Prices for pieces in this Year of the Pig collection range from $250 to $1,980. 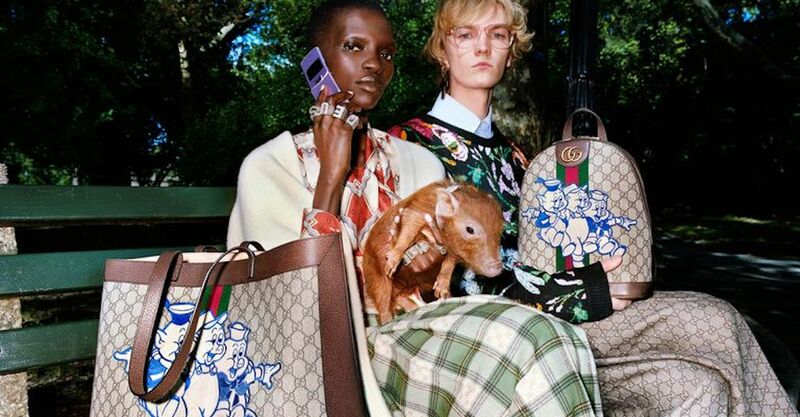 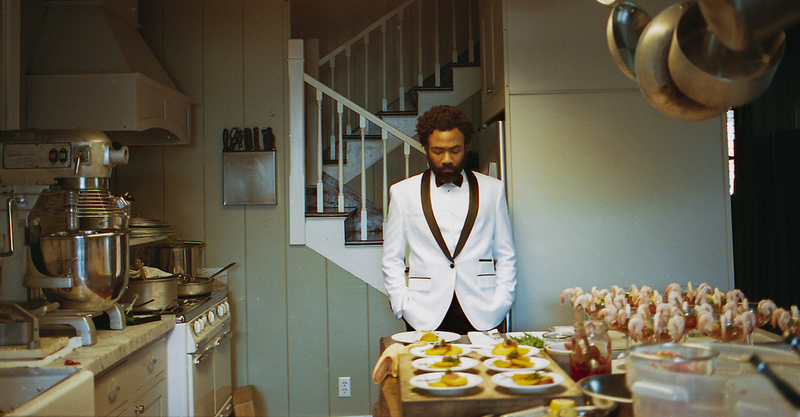 More news from the Gucci brand. 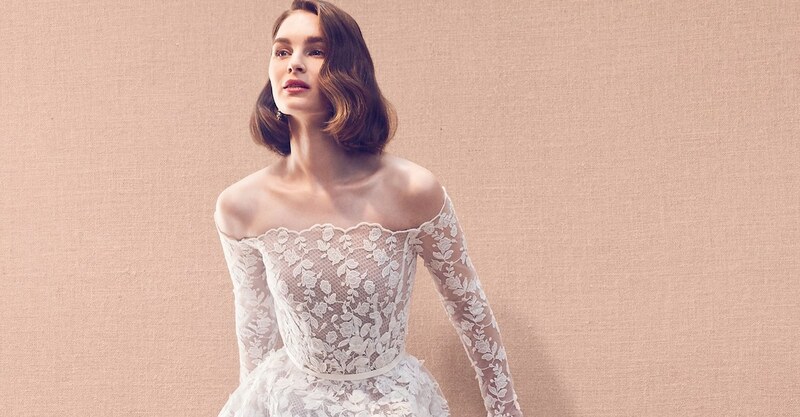 More Lunar New Year designer collections.